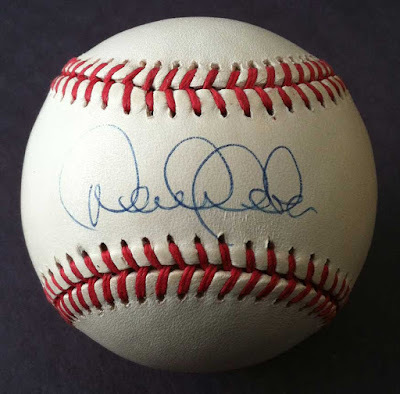 Fake Mickey Mantle autographs can sell for more than real! into negative memes for years to come. 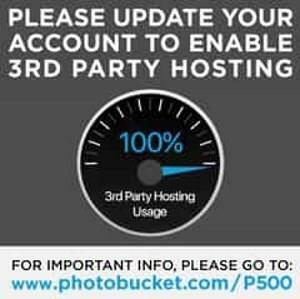 Photobucket recently announced that they will no longer allow third party hosting of their images unless you purchase the $399/year plan. What that means is, photos hosted by Photobucket but linked to other sites -- like blogs or chatboards -- will now have the "Upgrade your account" image unless the owner subscribes to the $399/year plan. For this reason, you may see some broken images in this blog, mostly dating 2012 and before. I understand the realities of business and I'm not complaining because it's no longer free, but $399/year seems a bit extreme. How many hobbyists and casual bloggers are going to pay that much? Especially considering most platforms now have their own image upload and hosting capability... you really don't need Photobucket anymore. It seems to me that if they priced it at $25 a year, they'd likely get 50 times more people to convert to a paid plan versus the $399/year. Donald Trump Autographs... be very careful! President Donald Trump autographs may be the hottest signature on the market right now, and also the most dangerous. His campaign trail scribbles are a forger's dream. It doesn't exactly take a master forger to imitate that style. My recommendation would be to focus on his older style signatures, which you have a reasonable chance to authenticate with some level of confidence. 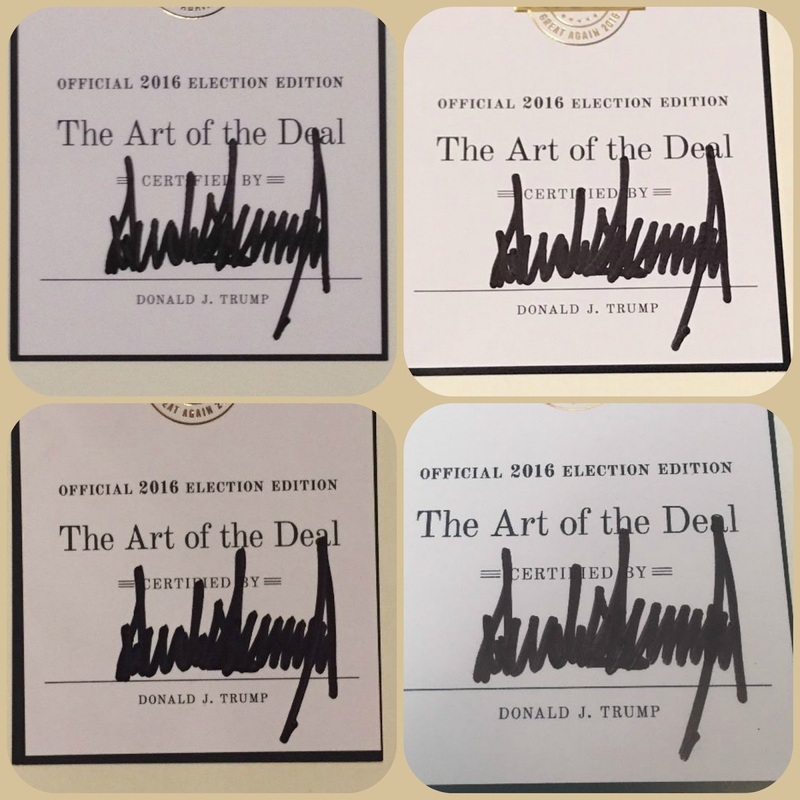 To further complicate the matter, there are Autopen machine signatures in the 2016 Election Edition The Art of the Deal books that were sent to donors. 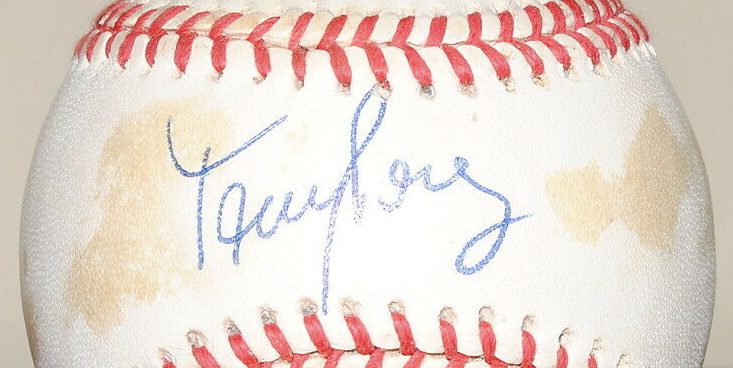 They are NOT authentically hand-signed. eBay is full of these Autopen machine signed books with sellers asking $300 and up. As you can see in the graphic, the signature is exactly the same in all of the books... there is no doubt these were signed by an Autopen machine. 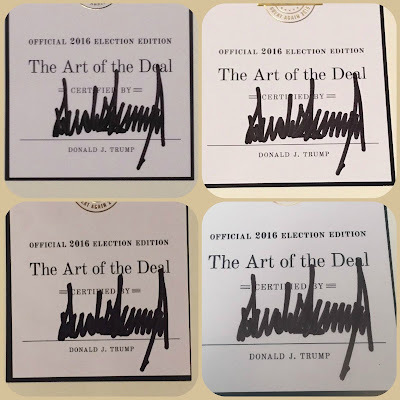 Autopen machine signatures in The Art of the Deal. Carrie Fisher - May the Force be with you. This is a post that is being done decades before its time. A very sad and premature passing. Buying a short period after a celebrity's death is always a bad idea. Prices are over-inflated and a ton of fakes flood the market. In particular, Carrie Fisher used a secretary for mail requests, so that comes into play as well. As always, do your homework and caveat emptor. 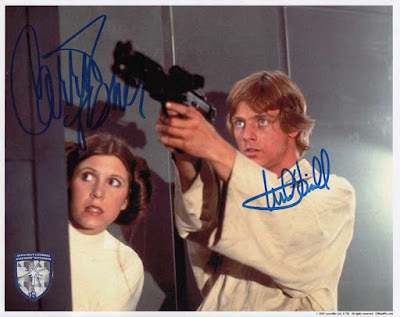 Authentic Carrie Fisher and Mark Hamill signed photo. Signed through Official Pix. Thank you Carrie Fisher for all of your great work. 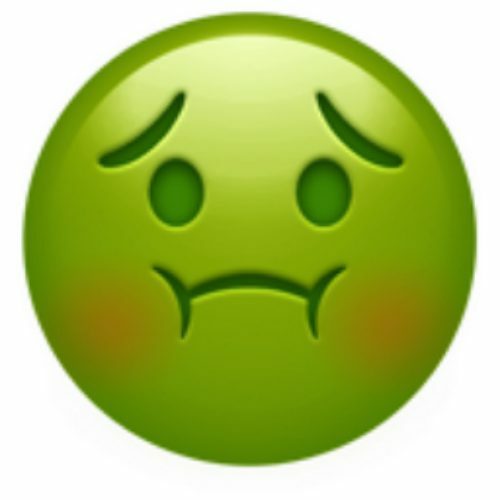 You will be missed. Removed dedication on baseball. Not looking good. 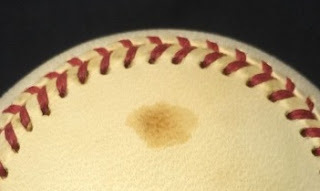 Almost a year and a half ago, I wrote about signature/dedication removal on baseballs. The signatures or dedications are not actually removed, rather, they are "painted" over by matching color and airbrushing. At the time, I wondered what would happen as the ball continued to age, but the paint stayed white? Would it look like white paint spots on a toned ball? One thing I did not consider is that baseballs can expand and contract with humidity. Even a fractional change in size could theoretically crack the paint. I think I found an example of what the "paint job" looks like when a ball has been expanding and contracting. Or maybe the paint wasn't mixed or applied properly. Either way, it's a mess. And, it should cause anyone to think twice about dedication/extra signature removal. 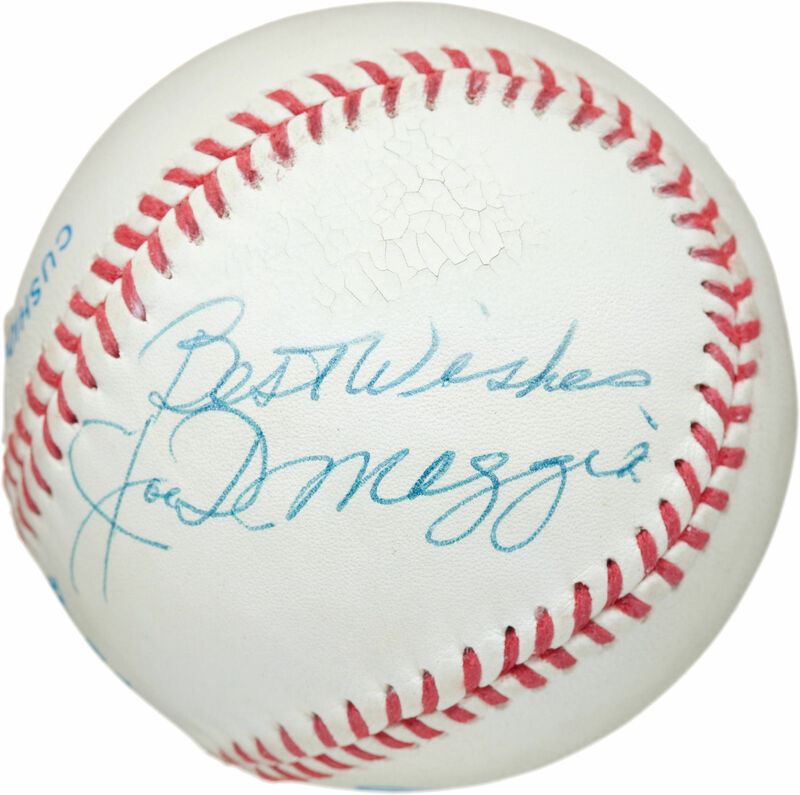 Joe DiMaggio signed baseball with dedication airbrushed over. Note the white overspray on the red stitches. If an item is readily available in good condition, don't buy one with condition issues unless it is at a very steep discount. Condition issues become less problematic when it is a rare or high cost item. For example, a stain won't hurt a Babe Ruth signed ball badly, but it’ll decimate the desirability of a Mantle signed baseball. 20 years ago today, Derek Jeter hit his first major league homerun and thus began a dynasty that would win four World Series over the next 5 seasons. 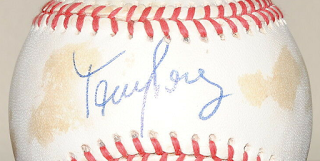 In my view, earlier Jeter signatures are much more appealing and desirable than the mass-produced signatures through Steiner, which seem to have deteriorated over the past few years.